FAYETTEVILLE, Ark. – There are many ways to participate in the U of A United Way campaign – and some of them involve food and/or funny hats. 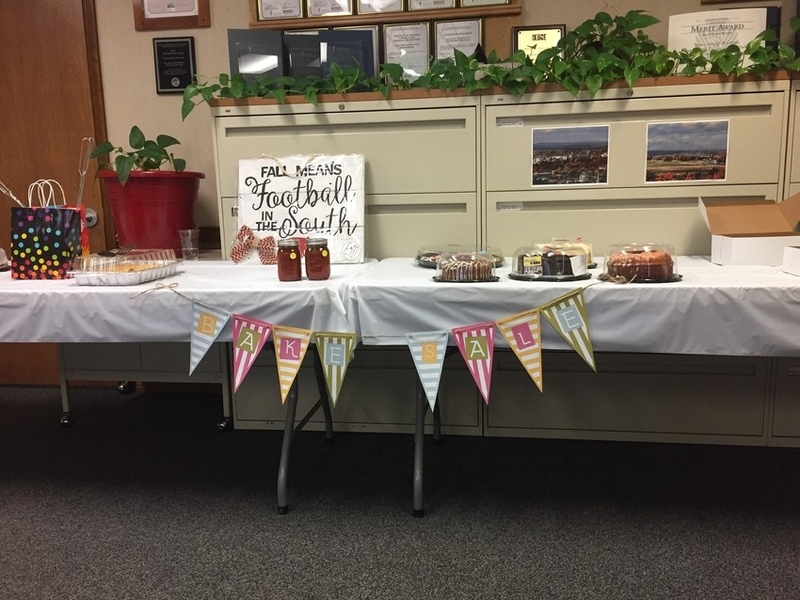 As the second week of the October campaign came to a close volunteers in Facilities Management organized a bake and craft sale, and staff and other campus members took the opportunity to buy just about everything in sight – raising $633 for the U of A United Fund. A delicious way to contribute. Meanwhile, staff in the Office of Human Resources held a “Wear Your Favorite Hat and/or T-Shirt Day”, with staff members donating a total of $50 to the United Way to go a little casual for the day – and show off their personal favorites. Wednesday, Oct. 17: Chili Day, this doesn’t need much explanation, does it? Friday, Oct. 19: Wild Hat Day – need we say more? All proceeds, of course, are ultimately going to help the U of A United Way campaign reach its goal of raising $125,000 for programs supported by the United Way of Northwest Arkansas to help children living in poverty in our community. But no one says that you can’t have fun and contribute to the U of A United Way at the same time.